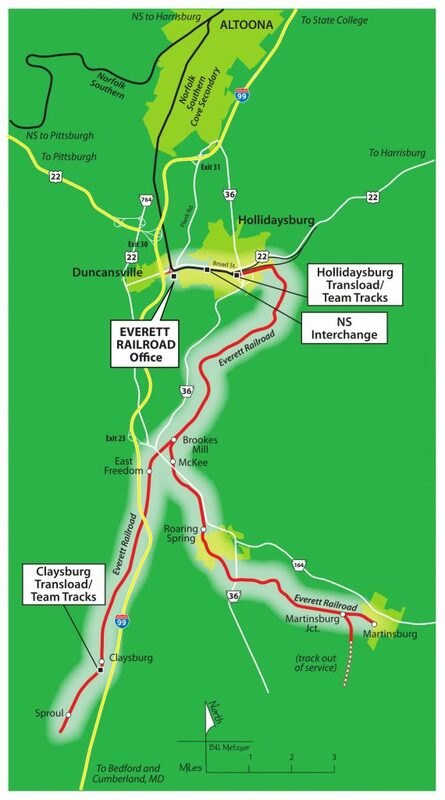 The Everett Railroad Company General Offices are located in Duncansville, PA. Freight is interchanged at Hollidaysburg with Norfolk Southern. For our customers, we offer transload, and public delivery/cross-dock track facilities in Hollidaysburg and Claysburg, PA. At Martinsburg, PA, we provide a public delivery/cross-dock track. All our facilities are located near Interstate 99, US Highways 22, 220 and Pennsylvania Route 36. Warehousing facilities and shorter-term storage solutions are available as well. 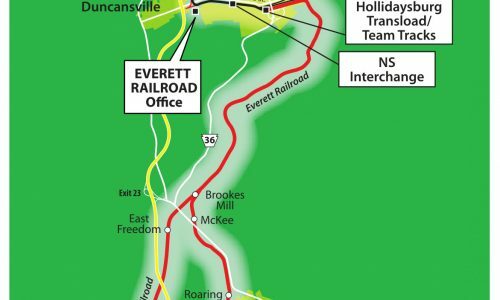 Official railroad map of the Everett Railroad Company showing offices, interchange locations, and facilities. 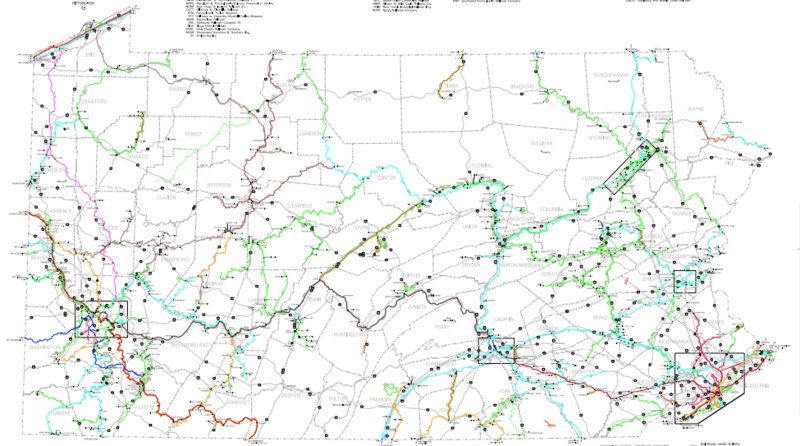 Official railroad system map of the Commonwealth of Pennsylvania. 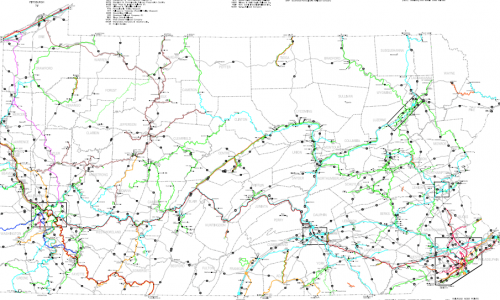 Made available by the Pennsylvania Department of Transportation.